Do you use system-design-primer? Leave a review! This is a continually updated, open source project. 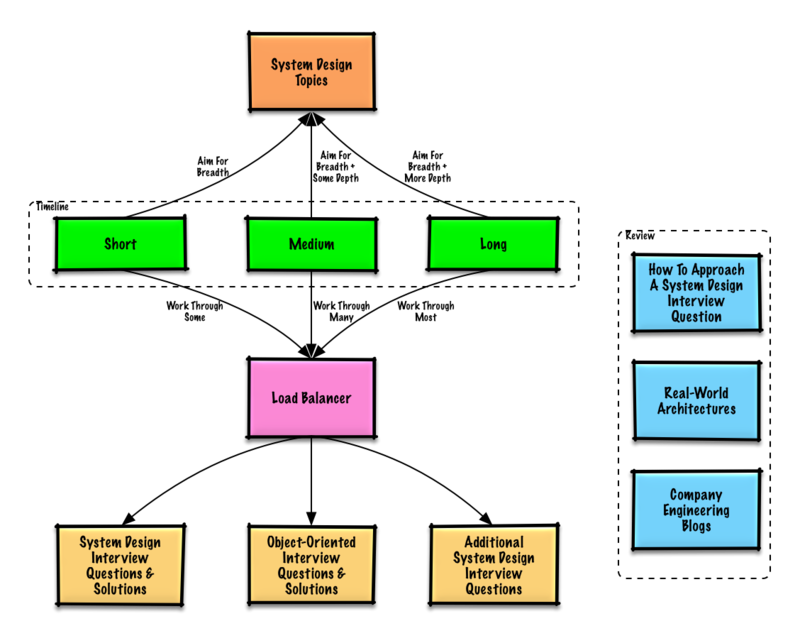 In addition to coding interviews, system design is a required component of the technical interview process at many tech companies. 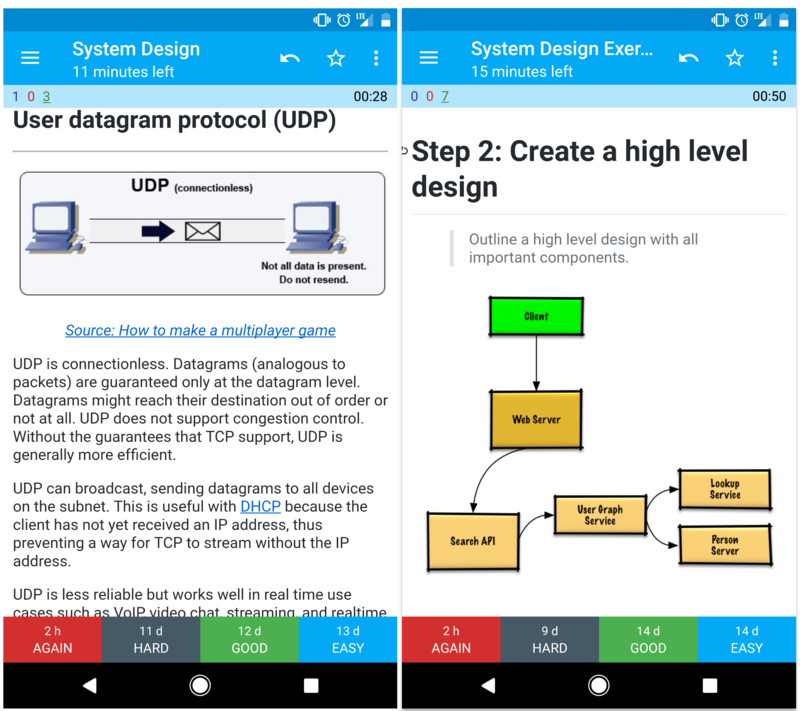 Practice common system design interview questions and compare your results with sample solutions: discussions, code, and diagrams. The provided Anki flashcard decks use spaced repetition to help you retain key system design concepts. Great for use while on-the-go. Looking for resources to help you prep for the Coding Interview? Content that needs some polishing is placed under development. Suggested topics to review based on your interview timeline (short, medium, long). Q: For interviews, do I need to know everything here? A: No, you don't need to know everything here to prepare for the interview. More experienced candidates are generally expected to know more about system design. Architects or team leads might be expected to know more than individual contributors. Top tech companies are likely to have one or more design interview rounds. Start broad and go deeper in a few areas. It helps to know a little about various key system design topics. Adjust the following guide based on your timeline, experience, what positions you are interviewing for, and which companies you are interviewing with. Short timeline - Aim for breadth with system design topics. Practice by solving some interview questions. Medium timeline - Aim for breadth and some depth with system design topics. Practice by solving many interview questions. Long timeline - Aim for breadth and more depth with system design topics. Practice by solving most interview questions. How to tackle a system design interview question. You can use the following steps to guide the discussion. To help solidify this process, work through the System design interview questions with solutions section using the following steps. Gather requirements and scope the problem. Ask questions to clarify use cases and constraints. Discuss assumptions. Outline a high level design with all important components. Identify and address bottlenecks, given the constraints. For example, do you need the following to address scalability issues? Discuss potential solutions and trade-offs. Everything is a trade-off. Address bottlenecks using principles of scalable system design. Common system design interview questions with sample discussions, code, and diagrams. Solutions linked to content in the solutions/ folder. Common object-oriented design interview questions with sample discussions, code, and diagrams. First, you'll need a basic understanding of common principles, learning about what they are, how they are used, and their pros and cons. Keep in mind that everything is a trade-off. Then we'll dive into more specific topics such as DNS, CDNs, and load balancers. If you have a performance problem, your system is slow for a single user. If you have a scalability problem, your system is fast for a single user but slow under heavy load. Latency is the time to perform some action or to produce some result. Throughput is the number of such actions or results per unit of time. Generally, you should aim for maximal throughput with acceptable latency. Networks aren't reliable, so you'll need to support partition tolerance. You'll need to make a software tradeoff between consistency and availability. Waiting for a response from the partitioned node might result in a timeout error. CP is a good choice if your business needs require atomic reads and writes. Responses return the most recent version of the data available on a node, which might not be the latest. Writes might take some time to propagate when the partition is resolved. AP is a good choice if the business needs allow for eventual consistency or when the system needs to continue working despite external errors. With multiple copies of the same data, we are faced with options on how to synchronize them so clients have a consistent view of the data. Recall the definition of consistency from the CAP theorem - Every read receives the most recent write or an error. After a write, reads may or may not see it. A best effort approach is taken. This approach is seen in systems such as memcached. Weak consistency works well in real time use cases such as VoIP, video chat, and realtime multiplayer games. For example, if you are on a phone call and lose reception for a few seconds, when you regain connection you do not hear what was spoken during connection loss. After a write, reads will eventually see it (typically within milliseconds). Data is replicated asynchronously. This approach is seen in systems such as DNS and email. Eventual consistency works well in highly available systems. After a write, reads will see it. Data is replicated synchronously. 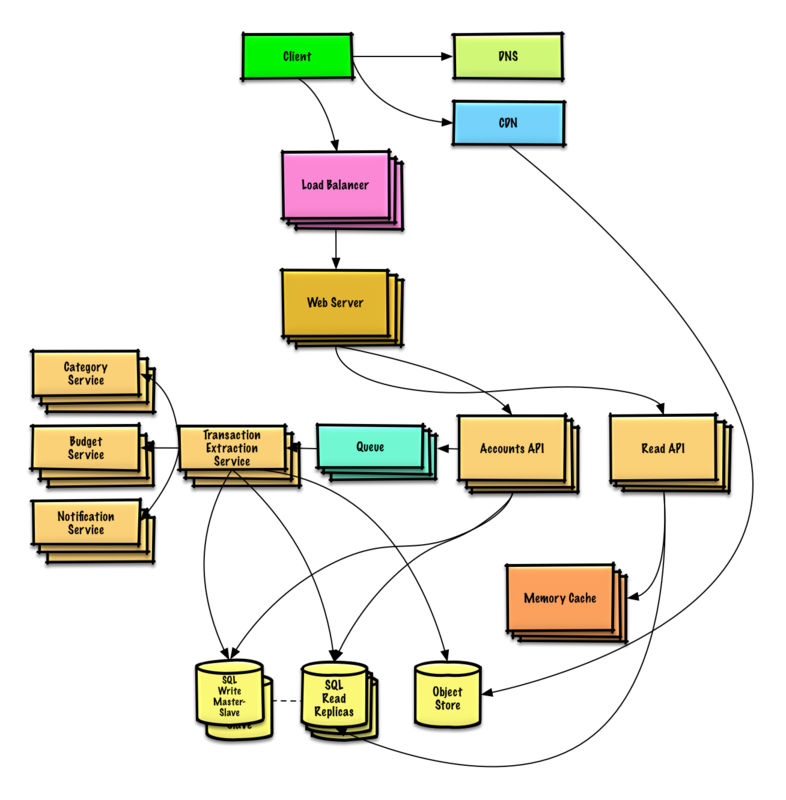 This approach is seen in file systems and RDBMSes. Strong consistency works well in systems that need transactions. There are two main patterns to support high availability: fail-over and replication. With active-passive fail-over, heartbeats are sent between the active and the passive server on standby. If the heartbeat is interrupted, the passive server takes over the active's IP address and resumes service. The length of downtime is determined by whether the passive server is already running in 'hot' standby or whether it needs to start up from 'cold' standby. Only the active server handles traffic. Active-passive failover can also be referred to as master-slave failover. In active-active, both servers are managing traffic, spreading the load between them. 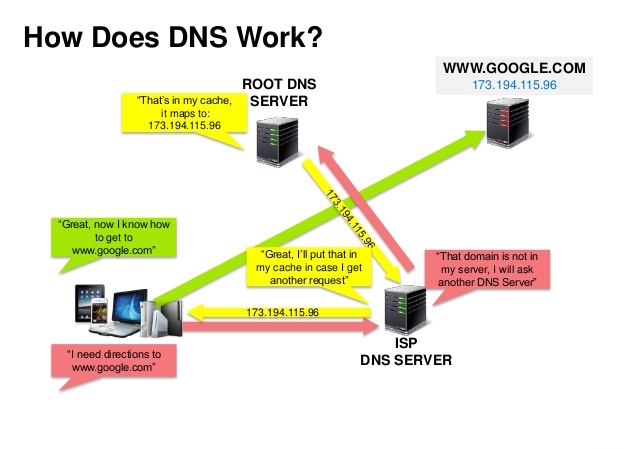 If the servers are public-facing, the DNS would need to know about the public IPs of both servers. If the servers are internal-facing, application logic would need to know about both servers. Active-active failover can also be referred to as master-master failover. Fail-over adds more hardware and additional complexity. There is a potential for loss of data if the active system fails before any newly written data can be replicated to the passive. Push CDNs receive new content whenever changes occur on your server. You take full responsibility for providing content, uploading directly to the CDN and rewriting URLs to point to the CDN. You can configure when content expires and when it is updated. Content is uploaded only when it is new or changed, minimizing traffic, but maximizing storage. Pull CDNs grab new content from your server when the first user requests the content. You leave the content on your server and rewrite URLs to point to the CDN. This results in a slower request until the content is cached on the CDN. Layer 4 load balancers look at info at the transport layer to decide how to distribute requests. Generally, this involves the source, destination IP addresses, and ports in the header, but not the contents of the packet. Layer 4 load balancers forward network packets to and from the upstream server, performing Network Address Translation (NAT). 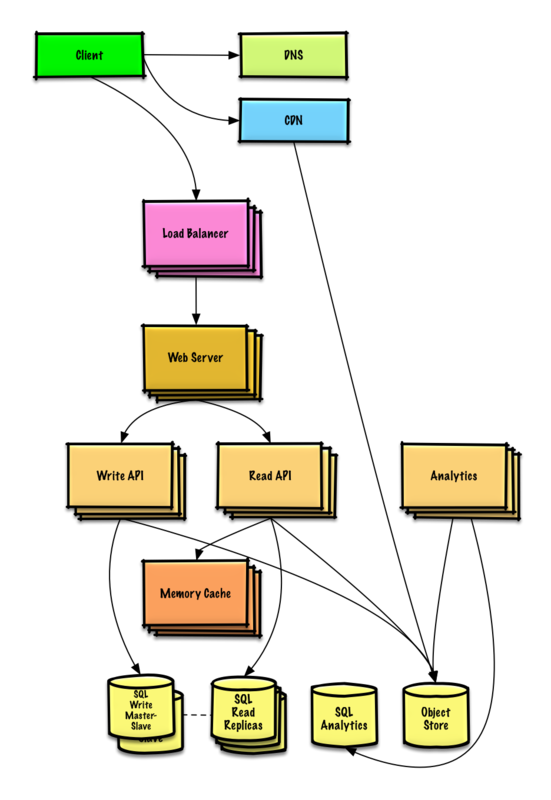 Layer 7 load balancers look at the application layer to decide how to distribute requests. This can involve contents of the header, message, and cookies. Layer 7 load balancers terminates network traffic, reads the message, makes a load-balancing decision, then opens a connection to the selected server. For example, a layer 7 load balancer can direct video traffic to servers that host videos while directing more sensitive user billing traffic to security-hardened servers. Load balancers can also help with horizontal scaling, improving performance and availability. Scaling out using commodity machines is more cost efficient and results in higher availability than scaling up a single server on more expensive hardware, called Vertical Scaling. It is also easier to hire for talent working on commodity hardware than it is for specialized enterprise systems. A reverse proxy is a web server that centralizes internal services and provides unified interfaces to the public. Requests from clients are forwarded to a server that can fulfill it before the reverse proxy returns the server's response to the client. Deploying a load balancer is useful when you have multiple servers. 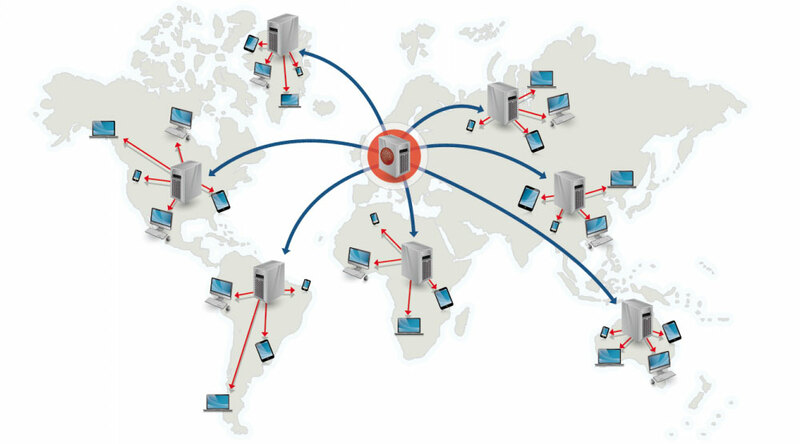 Often, load balancers route traffic to a set of servers serving the same function. Reverse proxies can be useful even with just one web server or application server, opening up the benefits described in the previous section. Solutions such as NGINX and HAProxy can support both layer 7 reverse proxying and load balancing. Introducing a reverse proxy results in increased complexity. A single reverse proxy is a single point of failure, configuring multiple reverse proxies (ie a failover) further increases complexity. Separating out the web layer from the application layer (also known as platform layer) allows you to scale and configure both layers independently. 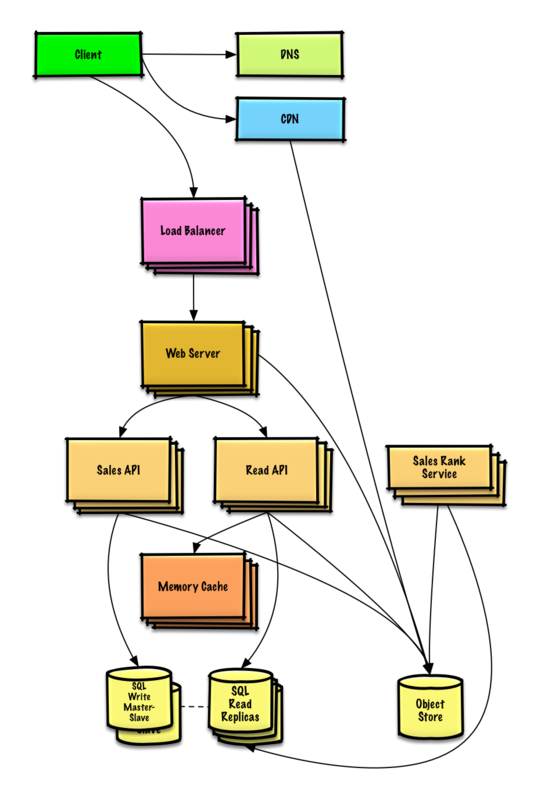 Adding a new API results in adding application servers without necessarily adding additional web servers. The single responsibility principle advocates for small and autonomous services that work together. Small teams with small services can plan more aggressively for rapid growth. 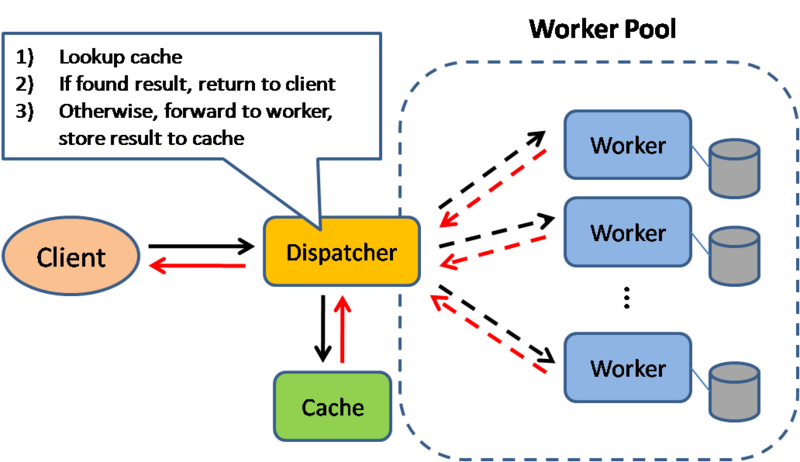 Workers in the application layer also help enable asynchronism. Pinterest, for example, could have the following microservices: user profile, follower, feed, search, photo upload, etc. Systems such as Consul, Etcd, and Zookeeper can help services find each other by keeping track of registered names, addresses, and ports. Health checks help verify service integrity and are often done using an HTTP endpoint. Both Consul and Etcd have a built in key-value store that can be useful for storing config values and other shared data. Adding an application layer with loosely coupled services requires a different approach from an architectural, operations, and process viewpoint (vs a monolithic system). Microservices can add complexity in terms of deployments and operations. A relational database like SQL is a collection of data items organized in tables. ACID is a set of properties of relational database transactions. 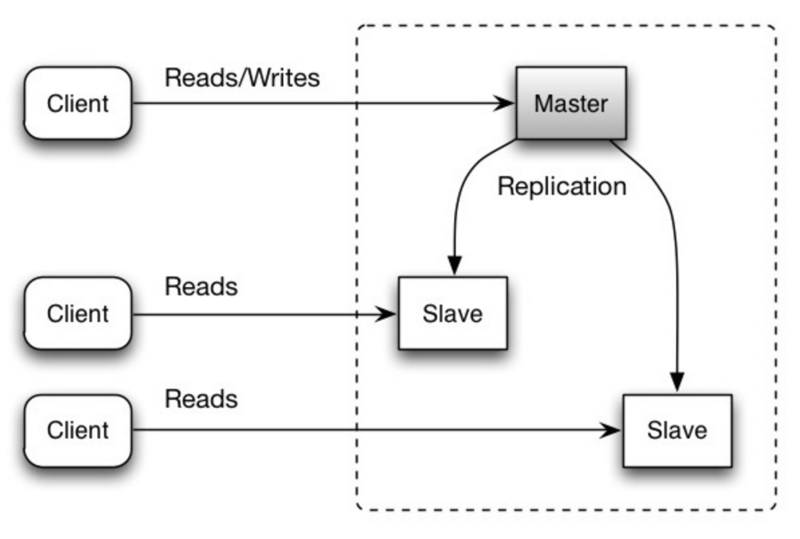 There are many techniques to scale a relational database: master-slave replication, master-master replication, federation, sharding, denormalization, and SQL tuning. The master serves reads and writes, replicating writes to one or more slaves, which serve only reads. Slaves can also replicate to additional slaves in a tree-like fashion. If the master goes offline, the system can continue to operate in read-only mode until a slave is promoted to a master or a new master is provisioned. Additional logic is needed to promote a slave to a master. See Disadvantage(s): replication for points related to both master-slave and master-master. Both masters serve reads and writes and coordinate with each other on writes. 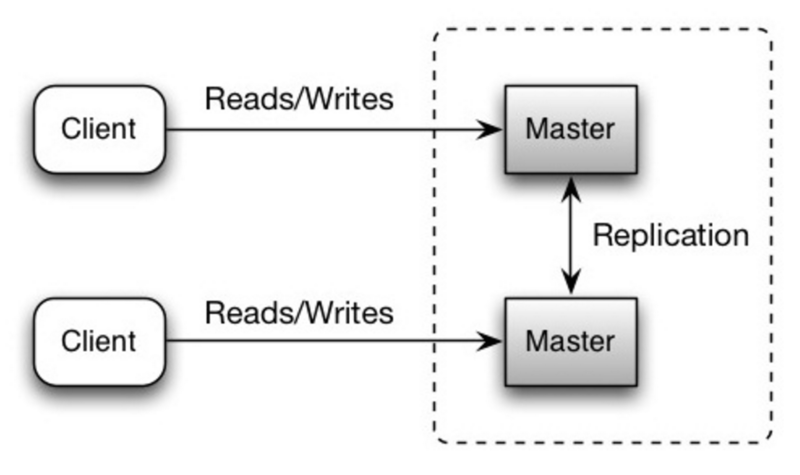 If either master goes down, the system can continue to operate with both reads and writes. You'll need a load balancer or you'll need to make changes to your application logic to determine where to write. Most master-master systems are either loosely consistent (violating ACID) or have increased write latency due to synchronization. 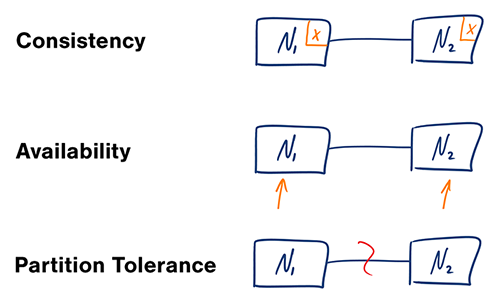 Conflict resolution comes more into play as more write nodes are added and as latency increases. There is a potential for loss of data if the master fails before any newly written data can be replicated to other nodes. Writes are replayed to the read replicas. If there are a lot of writes, the read replicas can get bogged down with replaying writes and can't do as many reads. The more read slaves, the more you have to replicate, which leads to greater replication lag. On some systems, writing to the master can spawn multiple threads to write in parallel, whereas read replicas only support writing sequentially with a single thread. Replication adds more hardware and additional complexity. Federation (or functional partitioning) splits up databases by function. 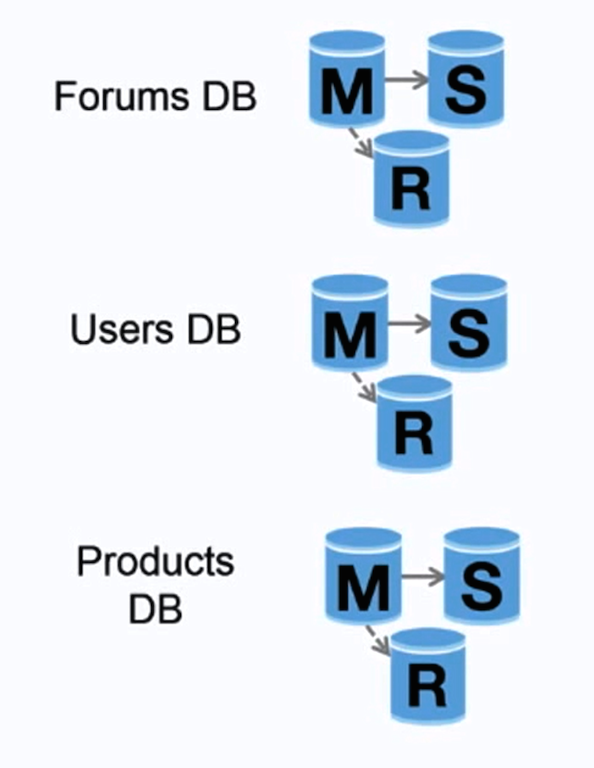 For example, instead of a single, monolithic database, you could have three databases: forums, users, and products, resulting in less read and write traffic to each database and therefore less replication lag. Smaller databases result in more data that can fit in memory, which in turn results in more cache hits due to improved cache locality. With no single central master serializing writes you can write in parallel, increasing throughput. Federation is not effective if your schema requires huge functions or tables. You'll need to update your application logic to determine which database to read and write. Joining data from two databases is more complex with a server link. Federation adds more hardware and additional complexity. Sharding distributes data across different databases such that each database can only manage a subset of the data. Taking a users database as an example, as the number of users increases, more shards are added to the cluster. Similar to the advantages of federation, sharding results in less read and write traffic, less replication, and more cache hits. Index size is also reduced, which generally improves performance with faster queries. If one shard goes down, the other shards are still operational, although you'll want to add some form of replication to avoid data loss. Like federation, there is no single central master serializing writes, allowing you to write in parallel with increased throughput. Common ways to shard a table of users is either through the user's last name initial or the user's geographic location. You'll need to update your application logic to work with shards, which could result in complex SQL queries. Data distribution can become lopsided in a shard. For example, a set of power users on a shard could result in increased load to that shard compared to others. Rebalancing adds additional complexity. A sharding function based on consistent hashing can reduce the amount of transferred data. Joining data from multiple shards is more complex. Sharding adds more hardware and additional complexity. Denormalization attempts to improve read performance at the expense of some write performance. Redundant copies of the data are written in multiple tables to avoid expensive joins. 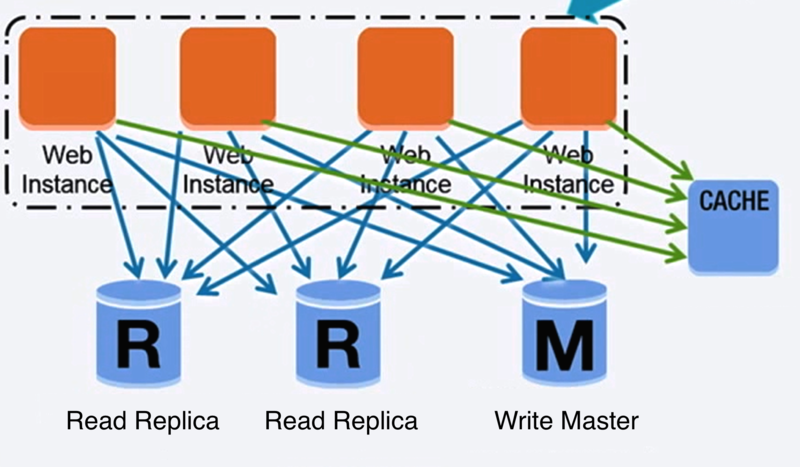 Some RDBMS such as PostgreSQL and Oracle support materialized views which handle the work of storing redundant information and keeping redundant copies consistent. Once data becomes distributed with techniques such as federation and sharding, managing joins across data centers further increases complexity. Denormalization might circumvent the need for such complex joins. In most systems, reads can heavily outnumber writes 100:1 or even 1000:1. A read resulting in a complex database join can be very expensive, spending a significant amount of time on disk operations. Constraints can help redundant copies of information stay in sync, which increases complexity of the database design. A denormalized database under heavy write load might perform worse than its normalized counterpart. SQL tuning is a broad topic and many books have been written as reference. It's important to benchmark and profile to simulate and uncover bottlenecks. Benchmark - Simulate high-load situations with tools such as ab. Profile - Enable tools such as the slow query log to help track performance issues. Benchmarking and profiling might point you to the following optimizations. MySQL dumps to disk in contiguous blocks for fast access. Use CHAR instead of VARCHAR for fixed-length fields. CHAR effectively allows for fast, random access, whereas with VARCHAR, you must find the end of a string before moving onto the next one. Use TEXT for large blocks of text such as blog posts. TEXT also allows for boolean searches. Using a TEXT field results in storing a pointer on disk that is used to locate the text block. Use INT for larger numbers up to 232 or 4 billion. Use DECIMAL for currency to avoid floating point representation errors. Avoid storing large BLOBS, store the location of where to get the object instead. VARCHAR(255) is the largest number of characters that can be counted in an 8 bit number, often maximizing the use of a byte in some RDBMS. Set the NOT NULL constraint where applicable to improve search performance. Columns that you are querying (SELECT, GROUP BY, ORDER BY, JOIN) could be faster with indices. 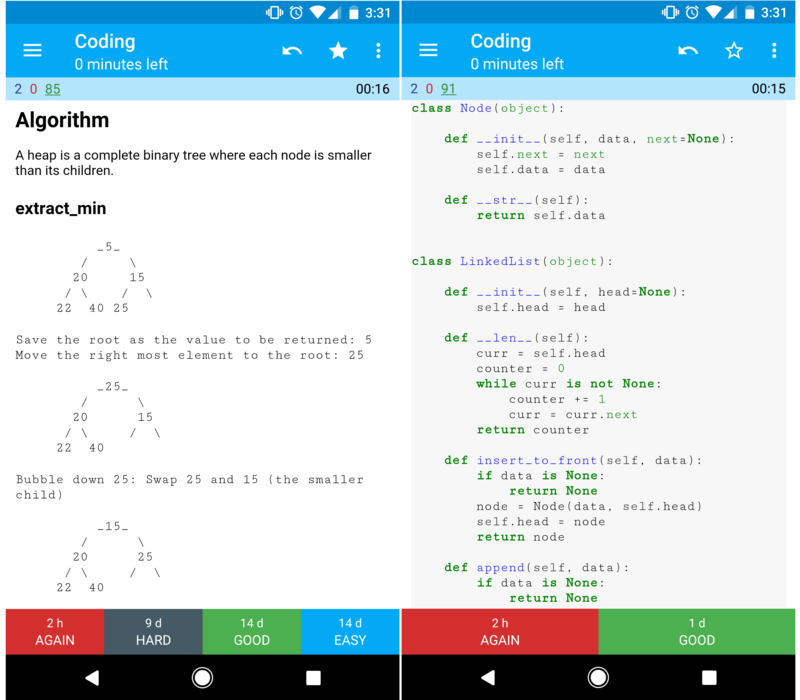 Indices are usually represented as self-balancing B-tree that keeps data sorted and allows searches, sequential access, insertions, and deletions in logarithmic time. Placing an index can keep the data in memory, requiring more space. Writes could also be slower since the index also needs to be updated. When loading large amounts of data, it might be faster to disable indices, load the data, then rebuild the indices. Denormalize where performance demands it. Break up a table by putting hot spots in a separate table to help keep it in memory. 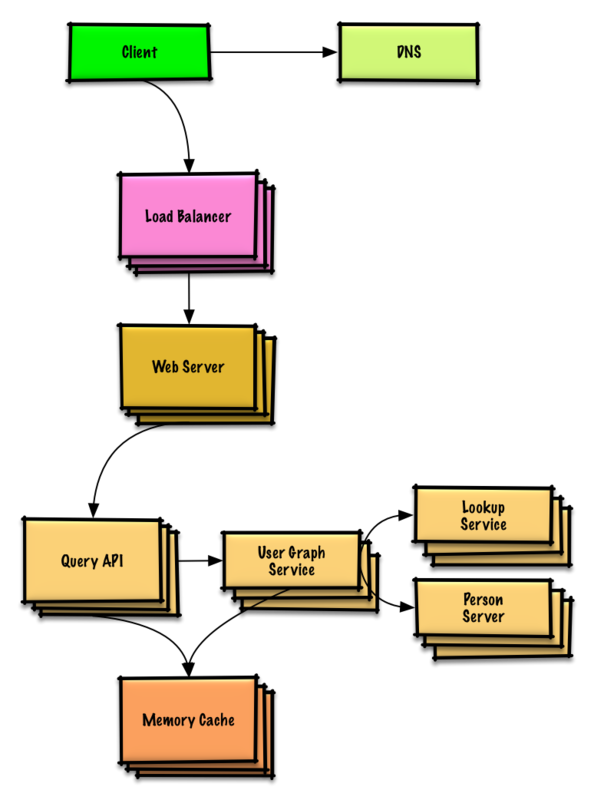 In some cases, the query cache could lead to performance issues. Is there a good reason i see VARCHAR(255) used so often? How do null values affect performance? NoSQL is a collection of data items represented in a key-value store, document store, wide column store, or a graph database. Data is denormalized, and joins are generally done in the application code. Most NoSQL stores lack true ACID transactions and favor eventual consistency. BASE is often used to describe the properties of NoSQL databases. 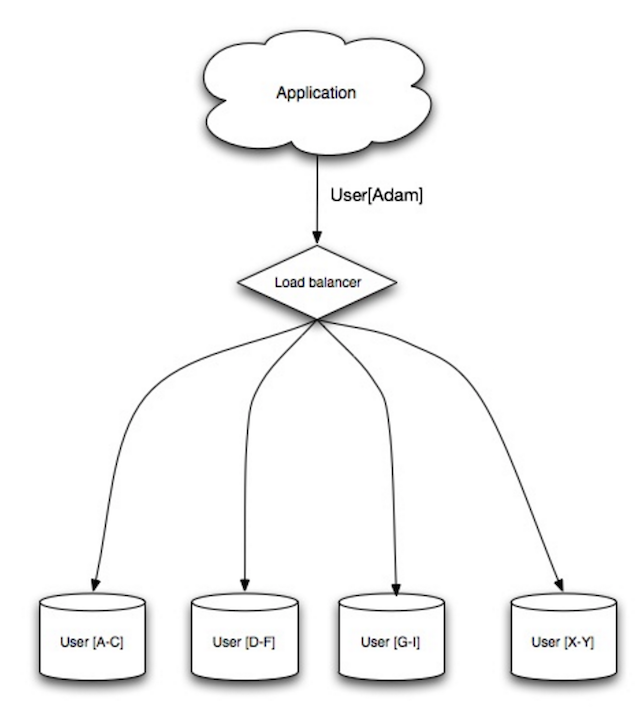 In comparison with the CAP Theorem, BASE chooses availability over consistency. Basically available - the system guarantees availability. Soft state - the state of the system may change over time, even without input. Eventual consistency - the system will become consistent over a period of time, given that the system doesn't receive input during that period. In addition to choosing between SQL or NoSQL, it is helpful to understand which type of NoSQL database best fits your use case(s). We'll review key-value stores, document stores, wide column stores, and graph databases in the next section. A key-value store generally allows for O(1) reads and writes and is often backed by memory or SSD. Data stores can maintain keys in lexicographic order, allowing efficient retrieval of key ranges. Key-value stores can allow for storing of metadata with a value. 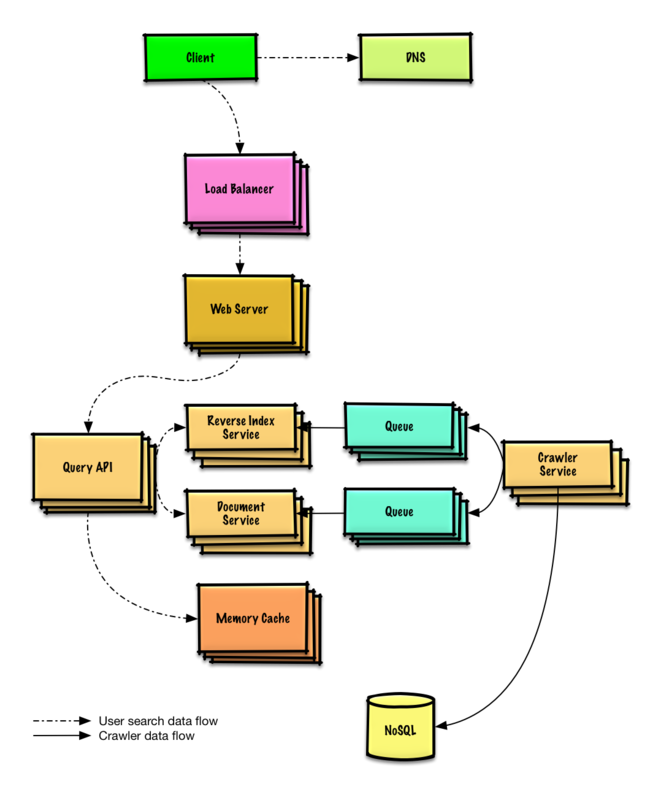 Key-value stores provide high performance and are often used for simple data models or for rapidly-changing data, such as an in-memory cache layer. Since they offer only a limited set of operations, complexity is shifted to the application layer if additional operations are needed. 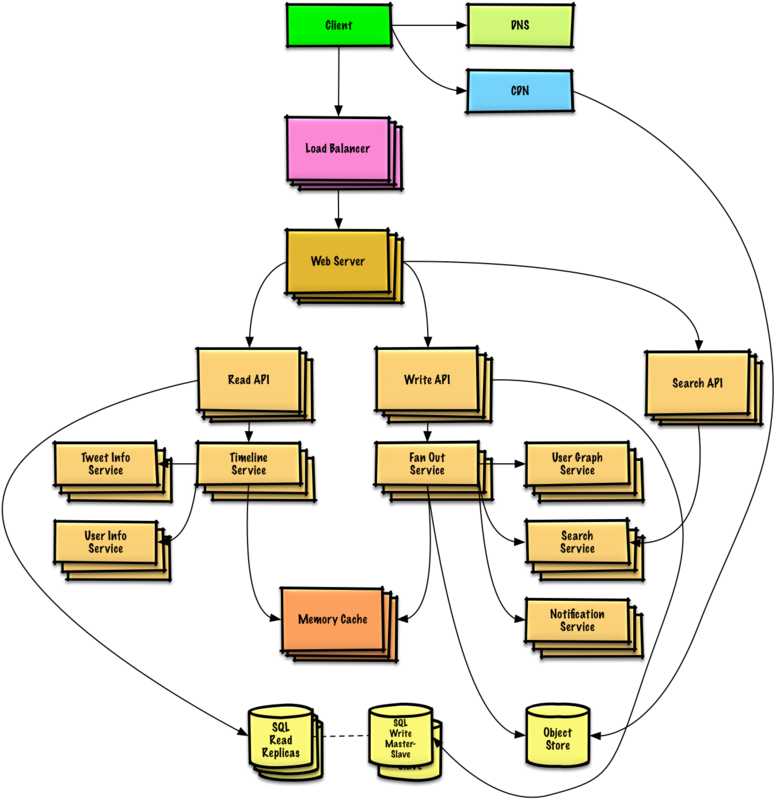 A key-value store is the basis for more complex systems such as a document store, and in some cases, a graph database. A document store is centered around documents (XML, JSON, binary, etc), where a document stores all information for a given object. Document stores provide APIs or a query language to query based on the internal structure of the document itself. Note, many key-value stores include features for working with a value's metadata, blurring the lines between these two storage types. Based on the underlying implementation, documents are organized by collections, tags, metadata, or directories. Although documents can be organized or grouped together, documents may have fields that are completely different from each other. 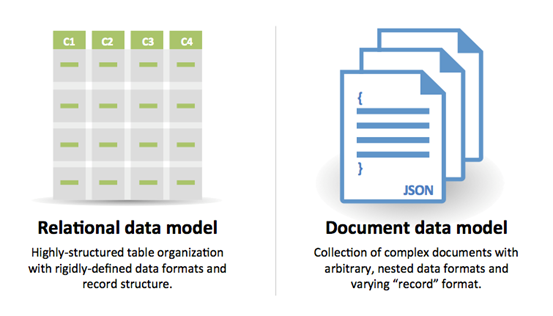 Some document stores like MongoDB and CouchDB also provide a SQL-like language to perform complex queries. DynamoDB supports both key-values and documents. Document stores provide high flexibility and are often used for working with occasionally changing data. A wide column store's basic unit of data is a column (name/value pair). A column can be grouped in column families (analogous to a SQL table). Super column families further group column families. You can access each column independently with a row key, and columns with the same row key form a row. Each value contains a timestamp for versioning and for conflict resolution. 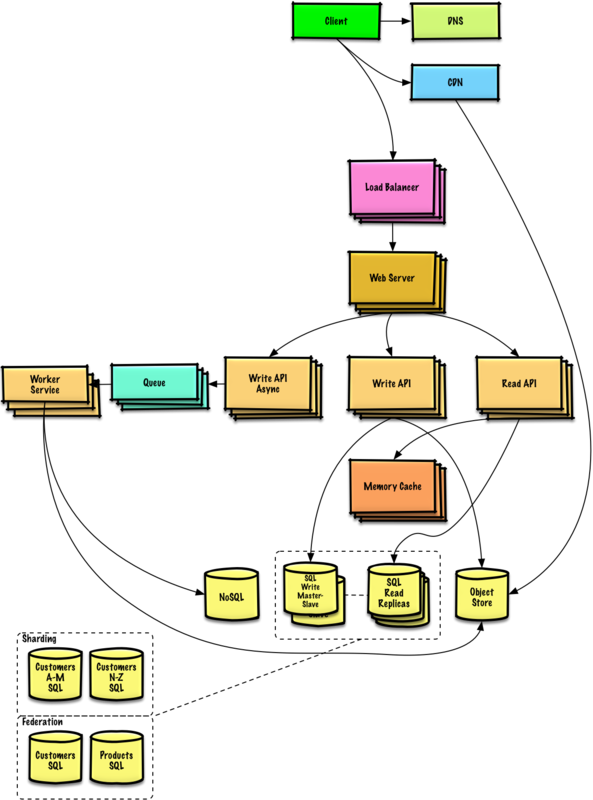 Google introduced Bigtable as the first wide column store, which influenced the open-source HBase often-used in the Hadoop ecosystem, and Cassandra from Facebook. Stores such as BigTable, HBase, and Cassandra maintain keys in lexicographic order, allowing efficient retrieval of selective key ranges. Wide column stores offer high availability and high scalability. They are often used for very large data sets. In a graph database, each node is a record and each arc is a relationship between two nodes. Graph databases are optimized to represent complex relationships with many foreign keys or many-to-many relationships. 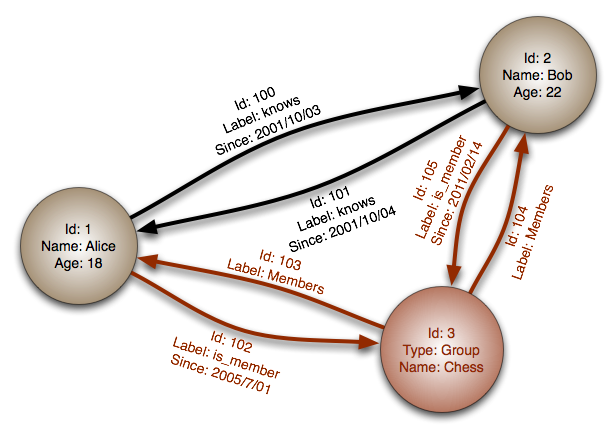 Graphs databases offer high performance for data models with complex relationships, such as a social network. They are relatively new and are not yet widely-used; it might be more difficult to find development tools and resources. Many graphs can only be accessed with REST APIs. Caching improves page load times and can reduce the load on your servers and databases. 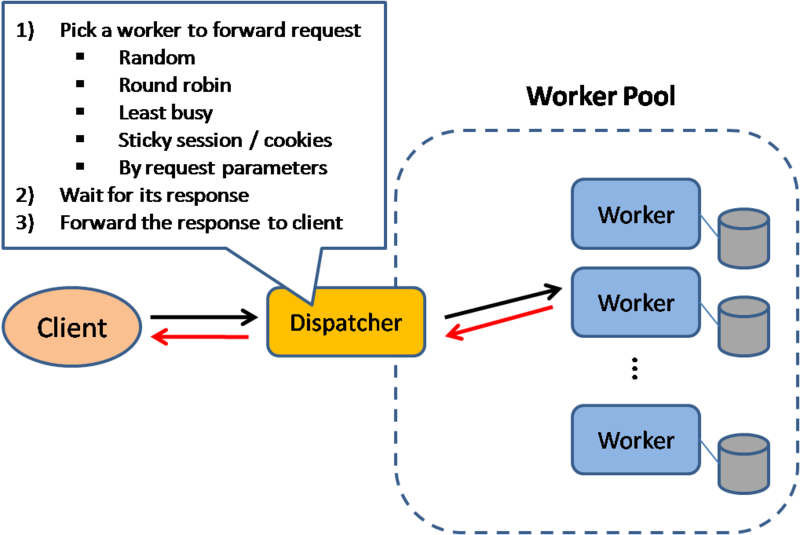 In this model, the dispatcher will first lookup if the request has been made before and try to find the previous result to return, in order to save the actual execution. Databases often benefit from a uniform distribution of reads and writes across its partitions. Popular items can skew the distribution, causing bottlenecks. 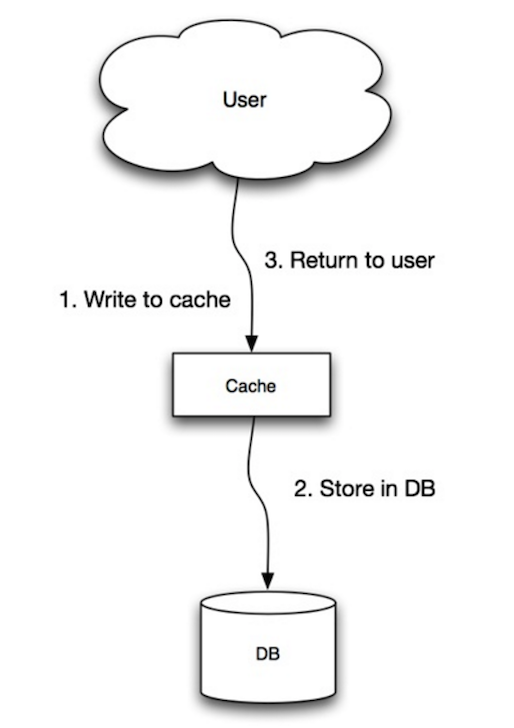 Putting a cache in front of a database can help absorb uneven loads and spikes in traffic. Caches can be located on the client side (OS or browser), server side, or in a distinct cache layer. CDNs are considered a type of cache. Reverse proxies and caches such as Varnish can serve static and dynamic content directly. Web servers can also cache requests, returning responses without having to contact application servers. Your database usually includes some level of caching in a default configuration, optimized for a generic use case. Tweaking these settings for specific usage patterns can further boost performance. In-memory caches such as Memcached and Redis are key-value stores between your application and your data storage. Since the data is held in RAM, it is much faster than typical databases where data is stored on disk. RAM is more limited than disk, so cache invalidation algorithms such as least recently used (LRU) can help invalidate 'cold' entries and keep 'hot' data in RAM. Generally, you should try to avoid file-based caching, as it makes cloning and auto-scaling more difficult. Since you can only store a limited amount of data in cache, you'll need to determine which cache update strategy works best for your use case. Memcached is generally used in this manner. Subsequent reads of data added to cache are fast. Cache-aside is also referred to as lazy loading. Only requested data is cached, which avoids filling up the cache with data that isn't requested. Each cache miss results in three trips, which can cause a noticeable delay. Data can become stale if it is updated in the database. This issue is mitigated by setting a time-to-live (TTL) which forces an update of the cache entry, or by using write-through. When a node fails, it is replaced by a new, empty node, increasing latency. 4 months Cassandra maintains only clustering keys in lexicographic order. 5 months Twitter solution: How are search/notification/user info services designed? --fix: Missing `path` in argument. Fixed grammar in "Learn how to design large-scale systems"
Keep up with changes to system-design-primer! Would you tell us more about system-design-primer?